Nasty Bingo (folkadelic blues rock) and Lord kimbo (high energy funk) will be performing a night of all original music at the Oregon Express. This is a must make event, featuring 2 of Daytons best original bands. The University of Dayton is an amazing asset for the city. It is one of the best Catholic universities in the country, educating roughly 10,000 students in a variety of disciplines. Their development has helped the city, from their incredible law and entrepreneurship programs to their basketball program with has drawn national attention. The school is continuing to grow, taking an active role in the rebirth of the Arcade downtown and providing a solid foundation for growing businesses around campus. The number of events that occur at the university, from small gatherings in the library to hosting the First Four, are staggering. It is not too much of an exaggeration to say if you go to an event at the University of Dayton, Gretchen Kelly has had some hand in the drinks being poured there. Gretchen has been working at the University of Dayton for years, starting in the dining halls and working her way up to a supervisor for all of their catering. But when she has the opportunity, she is back with the staff pouring drinks for thirsty guests. To work some of the events there, she has one accolade that few other bartenders in the city can claim; Secret Service clearance. Serving some of the patrons at Flyer games requires clearance by some of the top officers in the country. You may have seen her more recently at The Main Event, the huge gala was thrown by the Dayton Metro Library to provide a sneak peek at their beautiful new library. You may have even noticed her at an Art Ball or two, bartending with Kohler Catering. Her skills are in high demand at some of the top events in the area. They are also in demand at the Oregon Express, where you can find her on the odd night mixing cocktails, pulling beers, and enjoying the live bands that toll through that venue. Her radio show will be back in June, with unknown bands you need to hear. If you have not been on the receiving end of her bartending abilities, it is possible you have enjoyed one of her other passions: working with musicians. She has been booking bands for years at notable venues like the Canal Street and her home bar, Oregon Express. Her bartending adventures have taken her as far as Loveland, OH, where she ran the stick for a bar owned by the head cheerleader for the Cincinnati Bengals. She is still booking talent at the Express, even as she is transitioning to a new format for her radio show. The station and the show will be launching in June. Her one-hour show will focus on up-and-coming unsigned bands from around the world. Gretchen has been a staple at the University of Dayton for years, and it looks like she will be one for many more. From small breakfast meetings to an UD Arena filled to capacity, she will be there taking care of her guests with a smile. Yet another amazing asset at UD. After three years as a server at the Oregon Express, they trained me as a bartender. I had four different people train me. Gretchen with one of her loves. A Chocolate Martini with the chocolate syrup swirled in the glass. When it’s busy, anything with a blender! Vodka, because you can mix it with anything. Band members from LIVE and Collective Soul. A small part of The Main Event Crew. It seems more people are drinking Tullamore D.E.W., an Irish whiskey. I will love any trend that does not require a blender. The best way to learn is from other experienced bartenders. Then you can develop your own style of drinks. Tending bar at an event at the Boonshoft Museum and watching my friends slide down the slides while wearing evening gowns and tuxedos. Getting ready to go at the Oregon Express. Too much technology at some places. It takes more time to ring up drinks on a system at times. Some of the pre-measuring takes away from the speed and unique techniques of a good bartender from making the perfect drink. Any interesting stories about having to deal with a difficult customer? Bartending for me is like breathing. I have to bartend. Pizza is a $30 billion industry in the United States and while Chicago and New York may get a lot of buzz for their pizza, Dayton is right up there for pizza lovers. 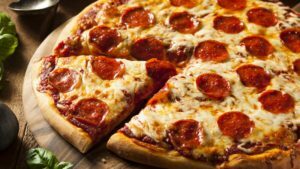 Smart Asset compared 137 U.S. cities and determined the top 25 cities for pizza lovers by looking at “factors which would matter most to a true pizza-lover,” according to its website. Dayton ranked 7th in their most recent rankings. Those factors included the cost of living, the number of pizza places per 10,000 residents, the average Yelp score for pizza places, and the percentage of pizza places on Yelp with a rating higher than 4.4. Approximately three billion pizzas are sold in the United States every year, plus an additional one billion frozen pizzas. Pepperoni is the most popular topping in the United States, found on 1/3 of pizzas. The average American eats 23 pounds of pizza each year. Get half off any large deep dish or tavern cut pizza every Monday, dine in only. Half price all Large & Extra-Large pizzas all day every Monday. all the pizza, salad, and bread & pretzel bites you can eat. Our Legendary Pizza’s are 25% OFF every Monday starting at 5pm! 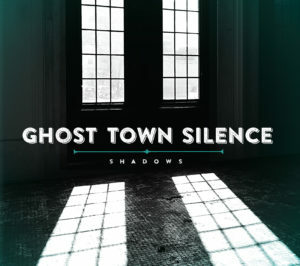 This Saturday, Ghost Town Silence will take the stage in support of the release of their EP Shadows at Oregon Express. Formally The Rebel Set, the set will mark the end of an era for the band. Before Ghost Town Silence, the five piece group The Rebel Set formed in 2005 when lead singer/guitarist Tom Gilliam and vocalist/upright bass Gavin Spencer enlisted members Jason Johantges (rhythm guitar), Adam Kempf (drums/trumpet) and Ken Hall (keyboards/trombone) to join. With the releases of their 2008 debut Ghost Town Silence and the 2009 follow up Across The Relentless Sea, The Rebel Set saw their live performances at the local establishments filled to near capacity. Their fanbase followed them to every place they played at. In 2010, Gilliam mentions while we met up recently that they were at their highest point of being together. It was hard to not mention The Rebel Set as being one of the most popular bands in town. With all of the work they were putting in around that time, life began to start take over. What was pretty standard of playing on most weekends now transitioned-with the band performing a few shows during the year. Most of the members starting having their families grow larger when children started coming. Johantges made the move to Marysville and has been the most recent to have a baby. Overall-the band started to shift their focus onto their other responsibilities. Even with all of the changes happening with each member of the band’s lives, they continued to get together and write music. In August of 2013, The Rebel Set went into the studio to lay down some songs at In the Red Recording, hopeful to release a full-length. The first five songs were mix, mastered and put on CD while the last half was still being worked on. In November while the band was taking a break from recording, Hall made the decision to leave the group to concentrate more on his newborn and his other bands-Human Cannonball and Shrug. With his parts already done with the first five songs, the second half of the full-length was up in the air. The Rebel Set decided to release the finished five songs now planned on being released as an EP titled Shadows. Right as they were getting prepped to set up photography with EP cover, the band faced even more roadblocks. In 2010, a Tempe, Arizona band that also went under the name The Rebel Set bought the naming rights to trademark themselves. The signing of Burger Records, supposed radio airplay with their music overseas, and an upcoming tour propelled the group to send a message to Gilliam requesting him to change his band’s name. It was also mentioned that legal action would be taken if the adjustment wasn’t made. The Dayton group could have gone to court and fought to keep the name. Gilliam and the band instead opted to adjust the title. “It just seem that the time was right for one anyways,” Gilliam said. “There were all these signs that were saying ‘do it’”. No longer being allowed to be called The Rebel Set, the band went to work on configuring a new name. While Gilliam went to work scrolling through the internet, other members began logging down names. Along with it being the title of their first album and Gilliam simply liking it, Ghost Town Silence had some history. It was also a lyric in the song “130” and had a huge part to do with the cover. The choice of Ghost Town Silence was chosen by the band during a practice down in Spencer’s basement. Before he could declare the name to be a contender, Spencer uttered the name out loud. Ghost Town Silence was greenlighted from that moment on. The other business that needed to be taken care of was the departure of Kempf in June of last year. With accepting a new job occupation, the need to fill in the holes became menacing. Lucky for Ghost Town Silence, the empty roles that Hall and Kempf held in the band were quickly filled with Nathan Warden on keyboards and drummer Brian Winter. Warden has been already playing at times with the band, but Winter was brand new. No longer does the looming cloud of uncertainty covers the band. Gilliam indicated that there was times when the band’s status as active was seriously in doubt. All was not lost in that time, though. With the somewhat hiatus that Ghost Town Silence was ensuing, Gilliam took his passion for photographer to another level. He started snapping pictures of a variety of subjects; raging from landmarks to various events. Today-Gilliam currently is the founder of the well-known account DaytonGram. 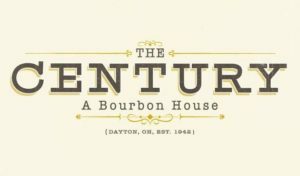 Sharing the Dayton, Ohio area’s past, present and future through photography & community (aka Instameets). With Winter and Warden being integrated as full-time members of Ghost Town Silence, the duo have brought new life into the band. Gilliam mentions that has soon as the EP Shadows is released, Ghost Town Silence will be moving on. The band has been currently working on new material. With a name change, new members, and an upcoming slot in the upcoming Sideshow festival-it will start a new era. And it will start this Saturday as soon as their set is finished. Gretchen Kelly begins with the story of one of the most wild and exciting nights that she’s been a part of as a show booker for the Oregon Express. She goes in depth about the Saturday night when local band The Professors took the stage. 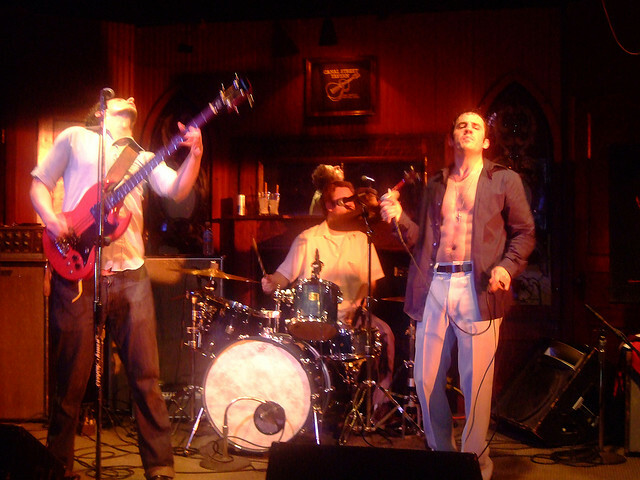 The Professors are a fuzz-inspired, psychedelic rock band that featured heavy riffs and 1960s style songwriting. Their style of music made them a big draw and would capture the audience’s attention anywhere they would perform. The Professors were more than just a band that would come and play music; they became one of the premiere acts in town. The band decided that it needed to take a break, and after 14 months they decided to return to playing live. The band came to Kelly one night and expressed their interest in coming out of their hibernation and playing at Oregon Express. The show would be the very first the band would play after their hiatus. Kelly jumped on the opportunity and agreed to book the gig. A typical live music show goes as follows- crowd will show up and grab a seat in the viewing area where the show takes place. The staff quickly serves everyone without really having any issues throughout the duration of the show. Number of people will roam around, back and forth between the two sections of the bar. At the end of the night, everyone walks away completely satisfied. A pretty typical night at any venue. But you never know how the evening is going to go. The night that Kelly talks about was a night that the script was changed. It’s the nature of the beast when it comes to setting up live shows. Before the night of the show, Kelly warned the staff that because of the popularity of The Professors there will be a need of additional help that night. As the night came, one of the staff called off due to illness. Being short staffed seemed okay at first due to the low volume at the start. Then out of nowhere, the crowd came in large numbers. The bar was difficult to move around as soon as everyone came in. Kelly goes on to end the story explaining that this was the second biggest night of door money that she ever obtained, right behind the CD release of another Dayton local band The Rebel Set’s Ghost Town Silence. After her story wrapped up, Kelly proceeded to fire up The Professors song ‘Pay the Price’. Kelly, along with Emily Wegh, hosts a weekly show called Queens of the Scene on RadioPureGently.com. Radio Pure Gently is an internet radio station that has been in production for a couple of years now, and is still growing. The website began when Rob Puricelli was doing an internet radio show in 2010. Puricelli was producing his own show on a community based station Radio Thetford. The show was based in his home country in England and it focused on independent music. Unfortunately, Puricelli couldn’t continue the show due to his employment changing and other commitments. Four dedicated listeners of Puricelli’s show felt that there was a void afterwards. After getting together and doing some talking, they decided that they would set up their own radio station together. On August 16th, 2012, Rohan Tarry (Bristol, UK), Larry Lang (Dayton, OH), Chris Duff (The Midlands, UK), and Micky Dodds (Armagh, UK) each did a half hour set, and would have their shows broadcast every Thursday at 7pm (UK time). The four men would call their project Radio Pure Gently because Tarry thought that it sound very similar to Puricelli. On August 16th, 2012, the first show went live. In 2013 Terry passed on his slot to Matt Clayton, who resides in Sellersburg, Indiana. In the summer of 2013, RadioPureGently.com was launched, and the focus turned to promoting and introducing new bands, artists, and musicians. Kelly has been part of the scene in Dayton for many years. She started waiting tables and helping out the bands that played at Oregon Express. In 2007, the folks that were setting up the shows decided to step down and recommended Kelly to take over. 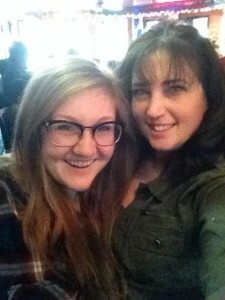 Queens of the Scene, which debuted on January 21, 2014, is a two hour show broken up into two parts: one hour features Kelly, and the other hour features Wegh. Kelly dives into more of the music that is being played and produced in the Dayton scene. The New Old-Fashioned, Motel Beds, Shrug, SOHIO are among some of the local bands that Kelly presents on her segment. Wegh explores other independent artists in her hour’s segment. She also dives into how the songs and/or artists she has played as impacted her. On the Valentine’s Day show, Wegh jokingly played music about love and heartbreak. Both hours are full of great music, both local and from around the world. Each week, both ladies record their vocals and insert the music into the recording software program REAPER. With the vocals and music in place, the ladies will then transfer it to Micky Dodds. The original idea was for both Wegh and Kelly to produce the show together. Unfortunately it hasn’t been able to happen due to the schedules. Kelly and Wegh do plan to eventually have them both do the show together instead broken into two segments. The shows on the website are constantly working on improving not only their sound, but also their content. Independent artist and bands all over the world are being able to have their music played. 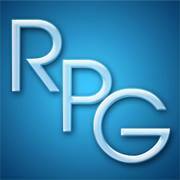 Listeners can go to this website RadioPureGently.com, or they can click on to http://mixlr.com/radio-pure-gently/chat. For Kelly, Wegh, and everyone involved with Radio Pure Gently, the experience of being a part of the website is thrilling. “It’s especially exciting for me to be working on something like this because it’s so diverse and international. It has been a terrific and one of a kind experience for me so far, and I’m really stoked to see where it continues going,” Wegh said. Queens of the Scene is broadcast every Tuesday afternoon at 2pm when you can also hear more stories just like the one about Kelly’s wild and magical Saturday night with The Professors, and of course more music. 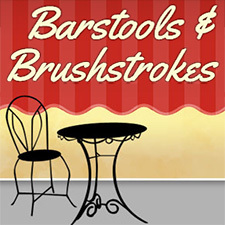 Barstools and Brushstrokes is the newest twist for your happy hour! Explore your creative side while recreating the featured nights painting with step-by-step guidance from the instructor. Classes are for both the artistic and the not-so-artistic… the main objective is to have fun!!! Instructors will guide you, step by step, recreating the featured nights painting. We provide all materials needed (canvases, easels, paints, aprons, etc…) just bring yourself and your creativity! It’s fun, easy, and totally stress free! You’ll go home with a 16X20 masterpiece that is “uniquely yours” and hopefully a new found talent that you’ll want to explore! All materials are provided (canvases, easels, paints, aprons, etc…) just bring your own personal style and we do the rest! **Events have food and/or drinks available for purchase. Because of limited seating, signing up in advance is always recommended. Register online to confirm your spot in a class . If a class is sold out, you can be put on a waiting list or just show up at the scheduled event…though they don’t promise anything, due to last minute cancellations, they can almost always get you in! – All supplies are provided, including aprons, but it is still recommended that you wear something you don’t mind getting dirty or possibly stained. Barstools and brushstrokes cannot be responsible for any paint damage. Lyrics to songs tell stories. 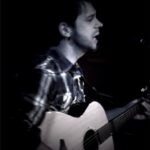 To most songwriters, their songs tell the story of relationships in their lives. When I spoke with the lead singer of the band Heartless Bastards Erika Wennerstrom this past summer, she told me that she would write about past relationships and how they molded her to be what she is today. Eddie Vedder from Pearl Jam’s earlier work dealt with his relationship with his family. During a sit down with local artist Meghna, she made perfect sense when she described what relationships are in her eyes, “They aren’t black and white. There is a lot of gray.” On Saturday night the Oregon Express Bar and Restaurant, located in the Oregon District, will be presenting Meghna. 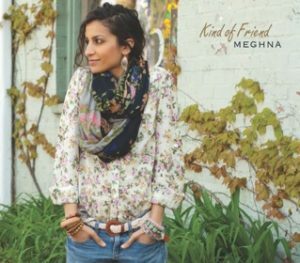 Meghna and her band, The Majority, will be releasing her third album, Kind of Friend. Playing on the same bill is The Charlie Tipton Band. Meghna Mahambrey began singing when she took the stage in her elementary school musical. In middle and high school, she participated in talent shows, where would sing songs from Mariah Carey, Whitney Houston, and the great Etta James. With her love for singing, she decided to record her first EP in 2005 with the help of production team Music Without Borders. Then she released her first LP, My Little Tape Recorder. The album, released in 2007, was a creative fusion of R&B, mixed with the influences of music from around the world. In 2010, Meghna teamed up with an old high school friend and released the album, Home. The album, which she co-wrote most of the songs, ranged from folk to rock. However, Kind of Friend is Meghna’s pride and joy to date. In 2011, Meghna started to write songs about her recent relationships and friendships. “I have some good relationships and some bad relationships”, Meghna explained. “They have dramatically shaped me as a person, and that is what the new album is about.” With the album, Meghna wrote all the songs, and worked with producer/owner of In The Red Studios Chris Suttle, guitarist Ken Walker, pianoist Jamie Preston, bassist Nathan Warden, and drummer Aaron Farrier. The group helped Meghna start to play the keyboard again, an instrument that she hasn’t played in some time. “The album is very heavily influenced of music from Norah Jones and The Civil Wars”, Meghna said to me during our sit down. So, be expecting some great jazz influence, along with hints of country and folk. The Charlie Tipton Band is another fantastic band that will be performing on Saturday night. The band provides great Americana music, with the influences of Ryan Adams and Willie Nelson that leaves the crowd breathless. The band also combines rock and roll into their live performance, adding a level of angst that keeps you on your toes. If you haven’t had the chance to see The Charlie Tipton Band, this will be one of the best times to see them. Both acts Saturday night will be telling great stories about love, friendships, and life through their music. Show starts at 9pm at the Oregon Express Bar. AIA Dayton, a chapter of the American Institute of Architects, has been celebrating Architecture Week with 2 full weeks of events and invites the public to join them for 2 events this week that will highlight the urban culture of some of our favorite bars, restaurants and galleries. go to Jay’s for more Dayton bar history and the new Dayton Beer Company tasting. Lastly we’ll head to the Oregon Express to see the famous train bar and relax on the upper deck as we watch the sunset with some craft beers and OE Pizza. Cost: $45/person. RSVP with form located here. Perhaps you’d prefer to “Sustain that smile” as your local art guides give you the highlights of Dayton’s art scene, give insights on collecting art and help you tap into the creative side of life over a private dinner at the acclaimed “Olive – an Urban Dive” whose locally sustainable food sources are magically transformed into seasonal masterpieces on Thurs, May 10th. This tour will start at DVAC with the opening of Art & Arias where we see the new show and connect with the Dayton Opera over a glass of wine. Next you’ll head to the New CADC and the Oregon District for a short stop at the Color of Energy on the way to Gallery 510 where gallery owner Loretta Puncer shares her insights on collecting for beginners and long standing patrons over a glass of wine. Finally, we’ll stop briefly by Press, a coffee house gallery on our way to Olive for a relaxing private dinner party starting at 9:00pm. These events require a fee and this registration form sent via fax (937‐698‐6153) or email to the AIA Dayton office at [email protected].